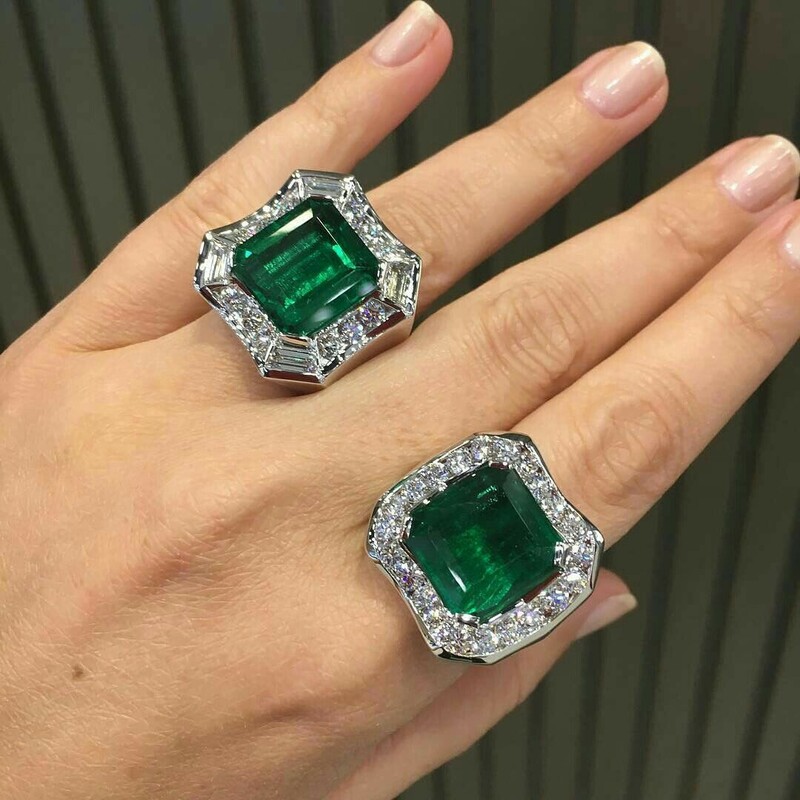 An 18.04-carat emerald of mesmerizing color and impeccable clarity once owned by the Rockefeller family. 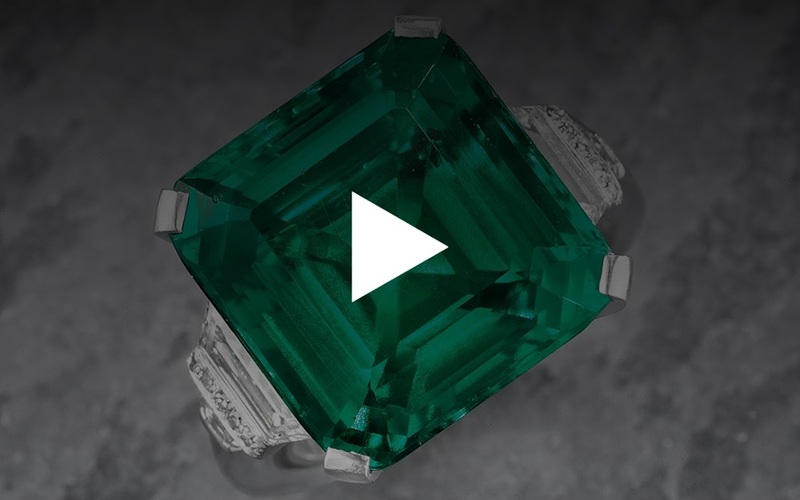 This superb Colombian emerald embodies the grandeur of the Rockefeller empire. 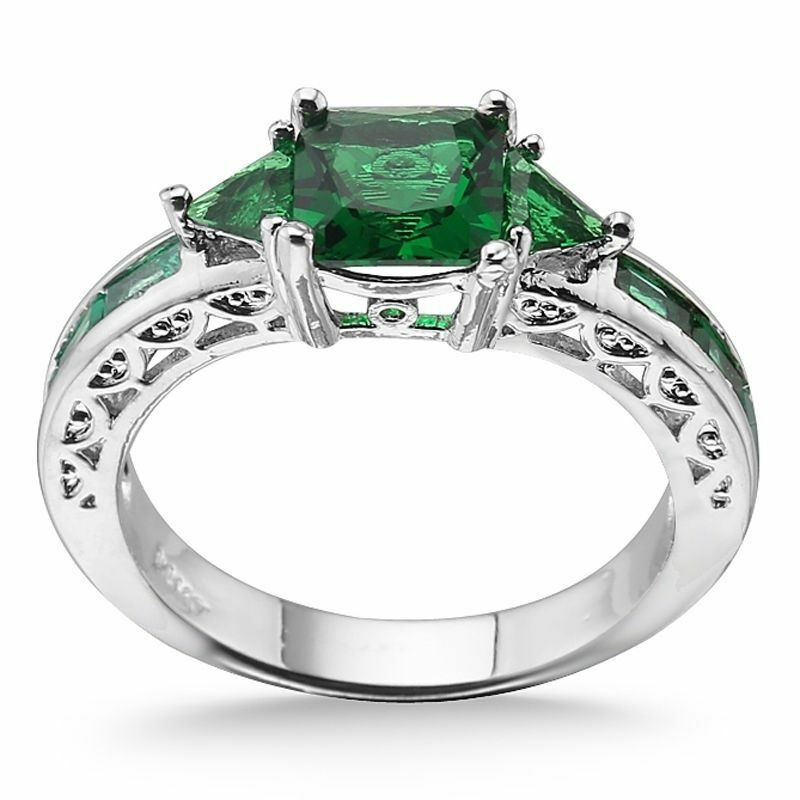 Emerald: Natural, Earth mined Colombian, Emerald cut, 1.44 carats total weight. Apple Green Color. 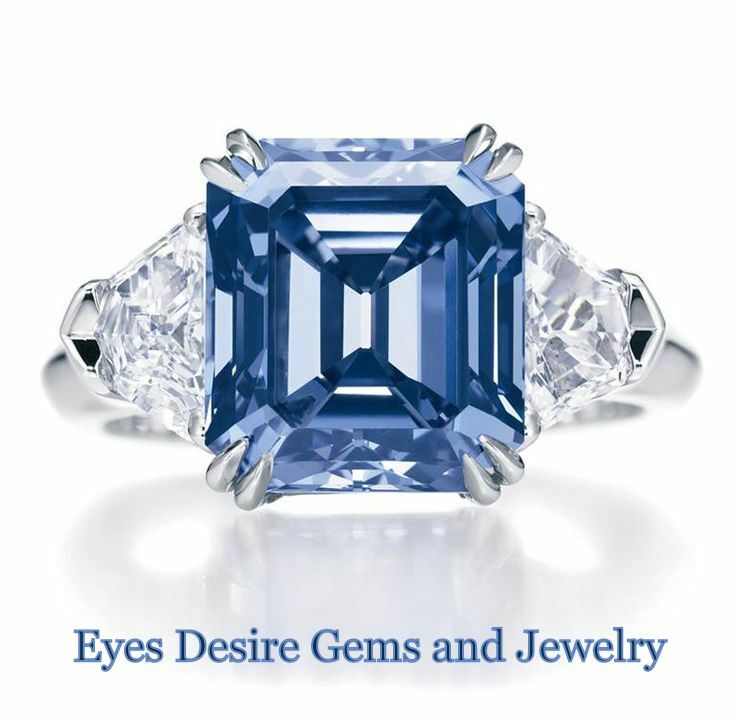 Diamonds: Natural, Earth Mined, 1.25 carats total weight, SI-1 clarity, G color, Round cut. 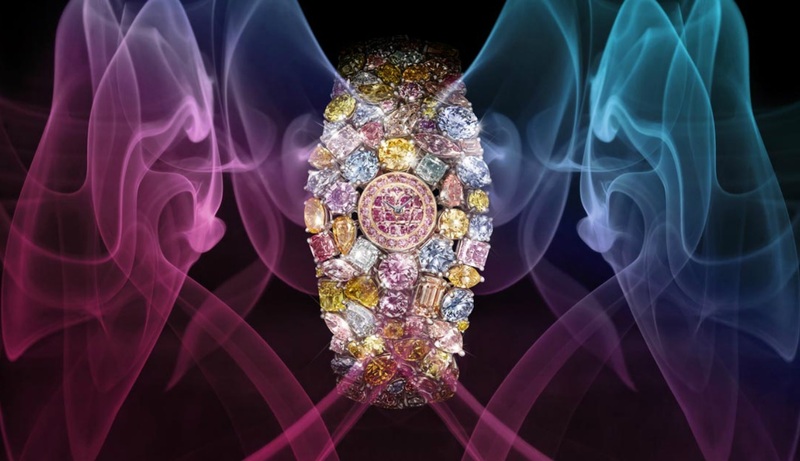 Total Carat Weight: 2.69 Carats. Metal: 14k solid Yellow gold. Tested. (Item will be polished and washed before shipping). Head Thickness: 20 mm ( 10.3 mm High ). 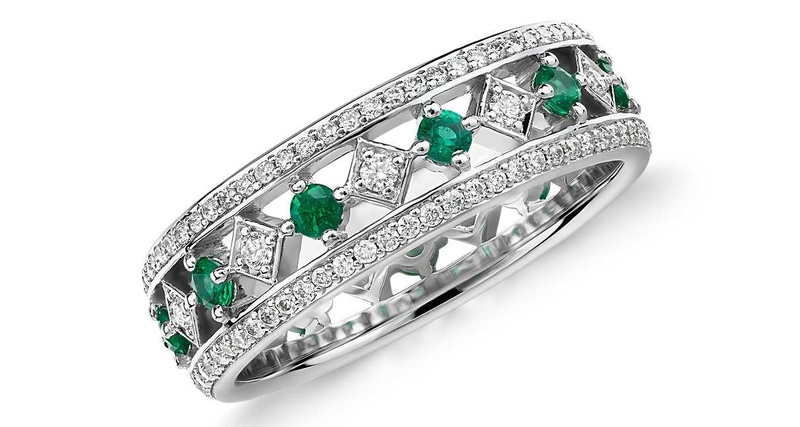 Delicate in design, this eye-catching 18k white gold eternity ring features alternating rich green emerald’s set between brilliant pavé diamond channels. 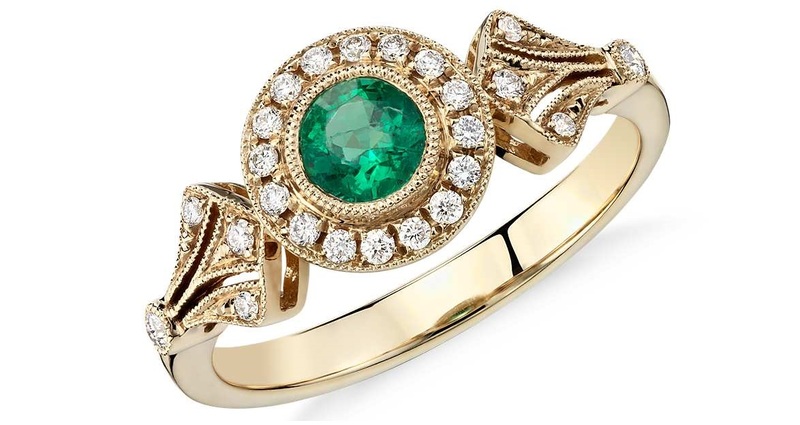 This Gorgeous ring is created by Blue Nile Jewelry. 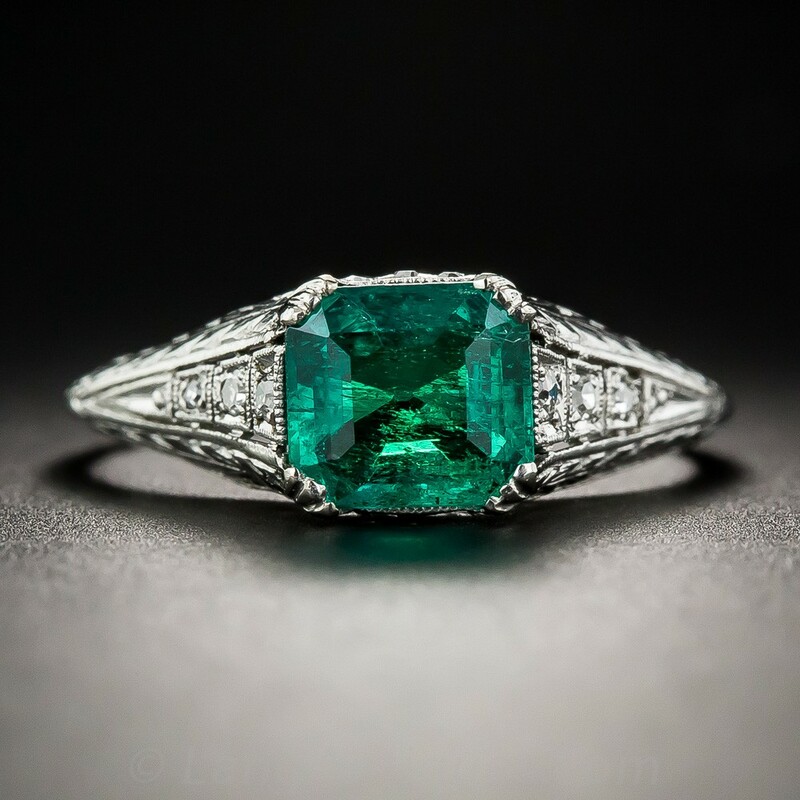 A deep, rich, vibrant green, square-cut Colombian emerald, weighing 1.22 carats, radiates from within a stunning and sophisticated Art Deco mounting, hand fabricated in platinum – circa 1925. The refined mounting is adorned with neoclassical hand engraving and is enlivened on the tapered shoulders with graduated trios of small sparkling diamonds. 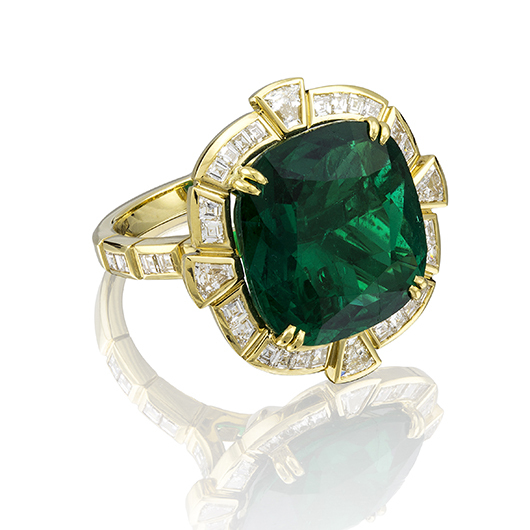 A rare, ravishing and classic vintage jewel. 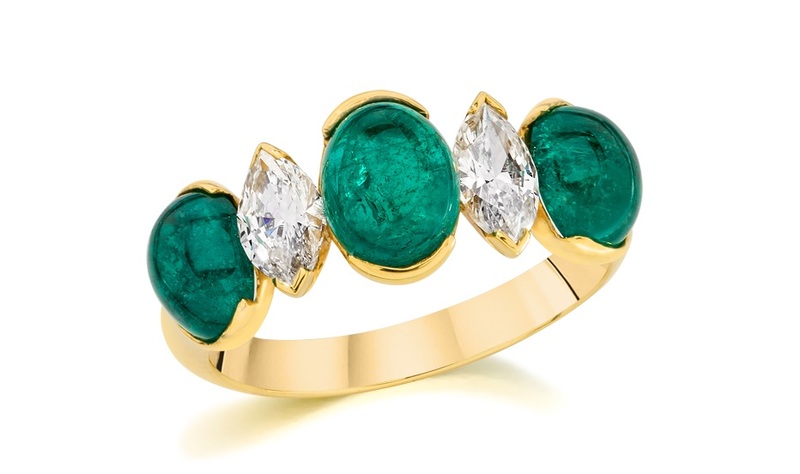 Cabochon emeralds alternate with marquise diamonds, in an 18-karat yellow gold setting. 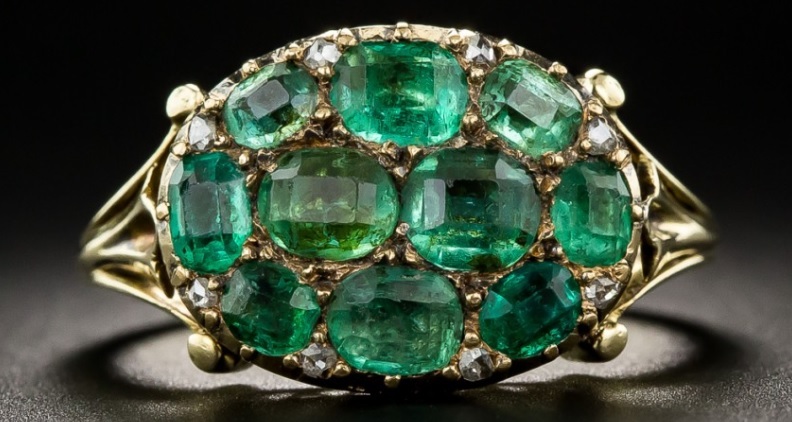 This rare and ravishing mid-Victorian jewel radiates with 10 closely-set bright green Colombian emeralds, totaling 1.75 carats, arrayed in an oval cluster dotted with tiny rose-cut diamonds and supported by a fanciful ring shank. Handcrafted in 15K gold, hence most likely of British origin, this delightful delicacy is not intended for rugged everyday wear. Uniquely beautiful. 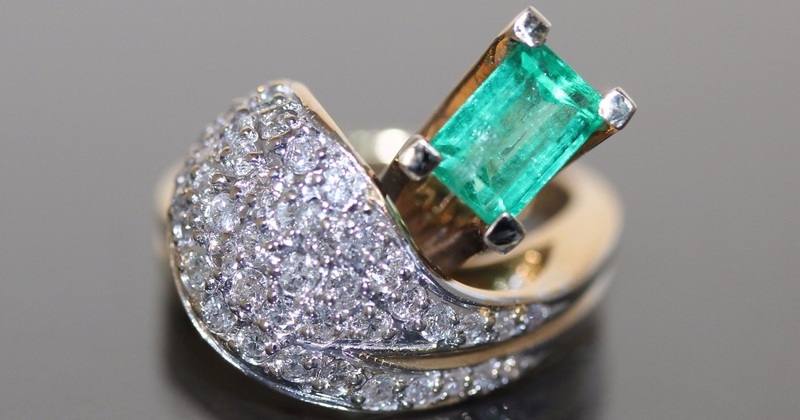 A Magnificent 11.49 Carat Untreated Colombian Emerald D’Oyly Carte Ring. 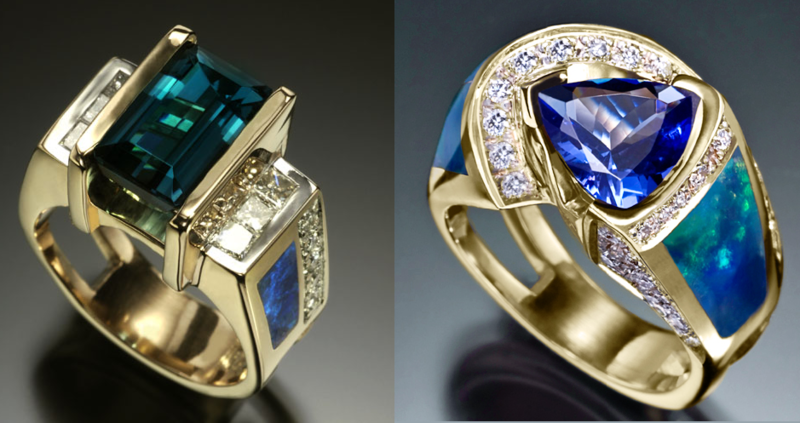 This unique, high jewelry ring has been created especially to celebrate The Savoy Hotel’s 125th anniversary year. 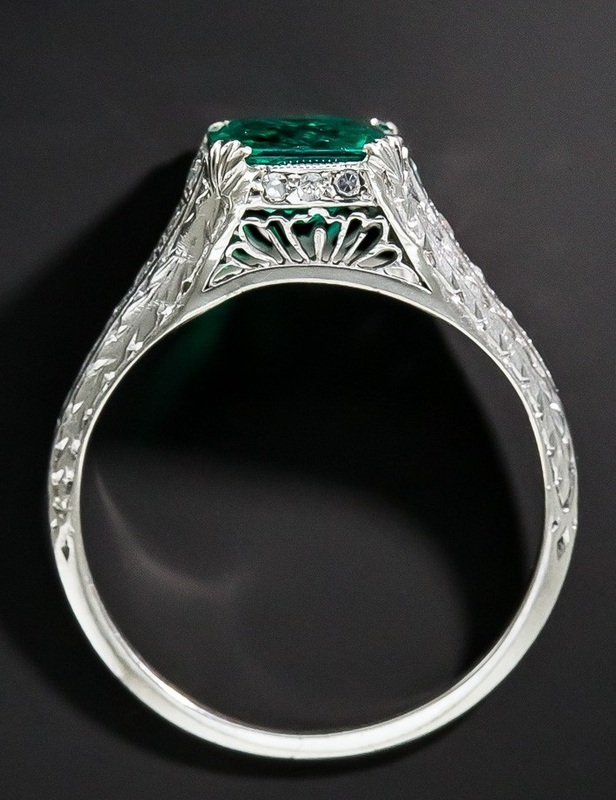 Named after theatrical impresario, Richard D’Oyly Carte, who built The Savoy, the piece incorporates a magnificent 11.49 carat untreated Colombian emerald chosen to represent the hotel’s brand color through its deep green appearance. 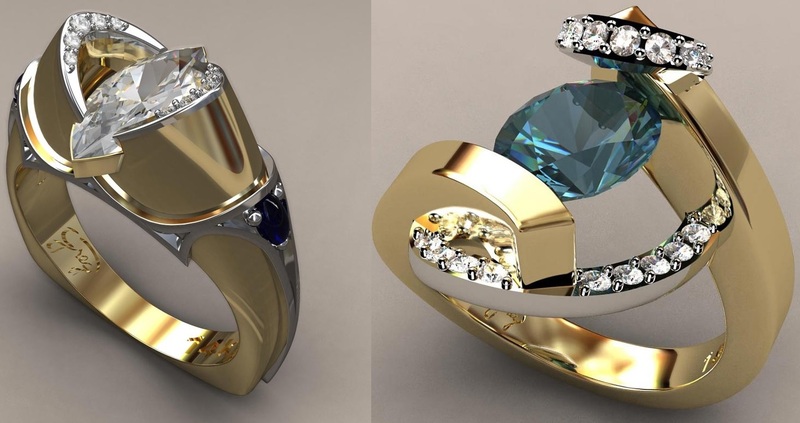 Set in a yellow gold and diamond ‘Keystone’ design, the ring’s setting takes inspiration from the hotel’s sign composition. 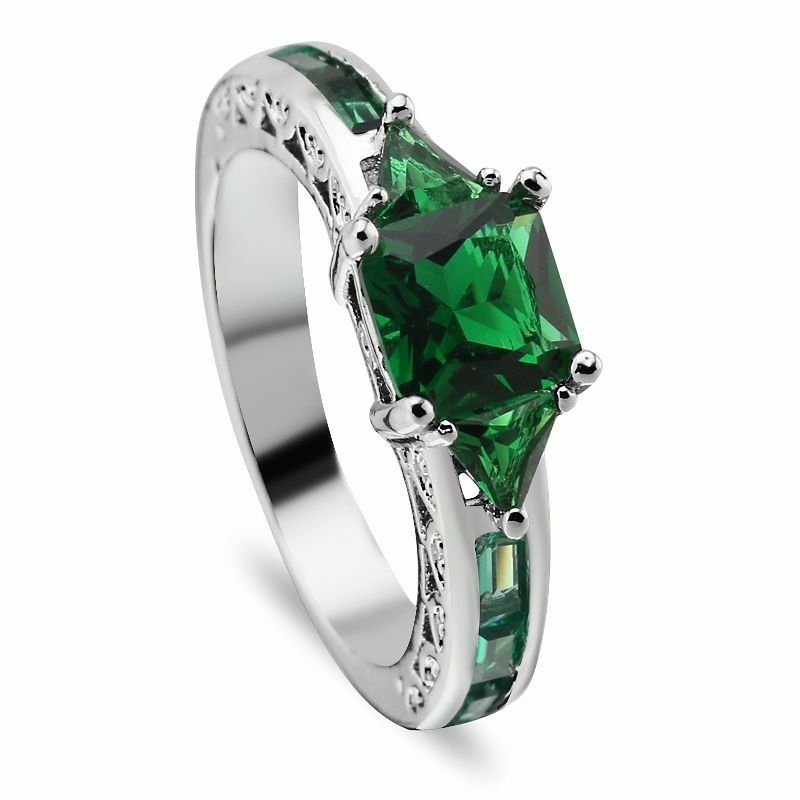 Gorgeous Sterling Silver Ring with a stunning emerald that has been lab created. 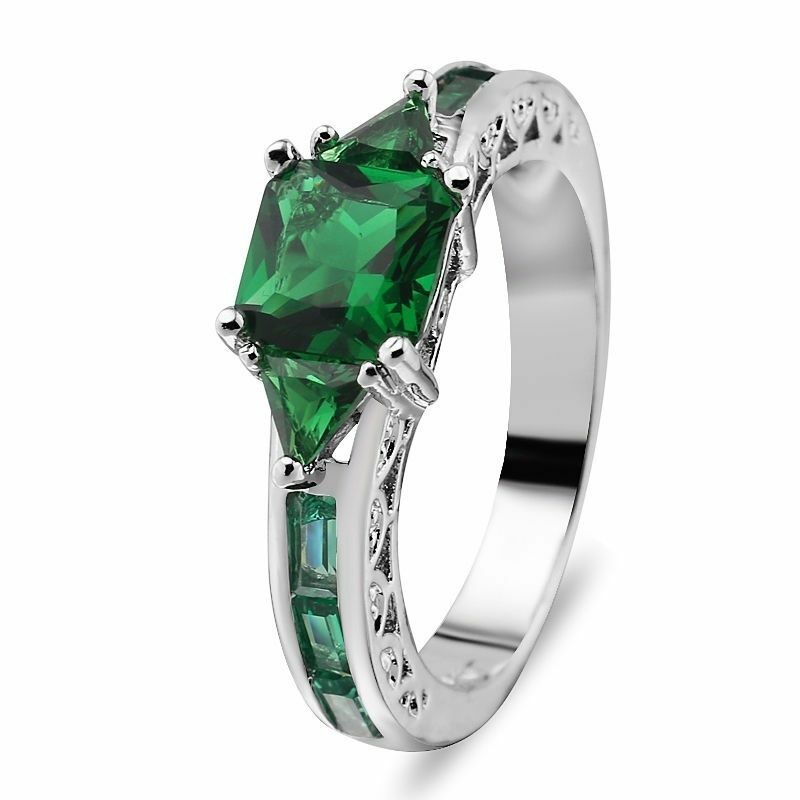 This ring has exquisite side engraving to enhance the beauty of this ring. 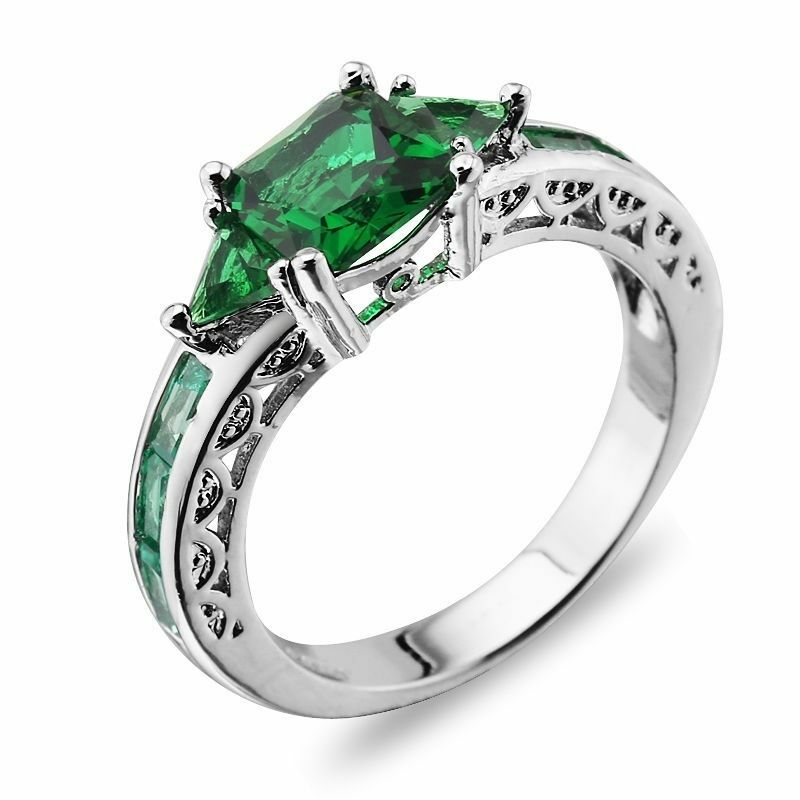 The ring is available in size 6-10. 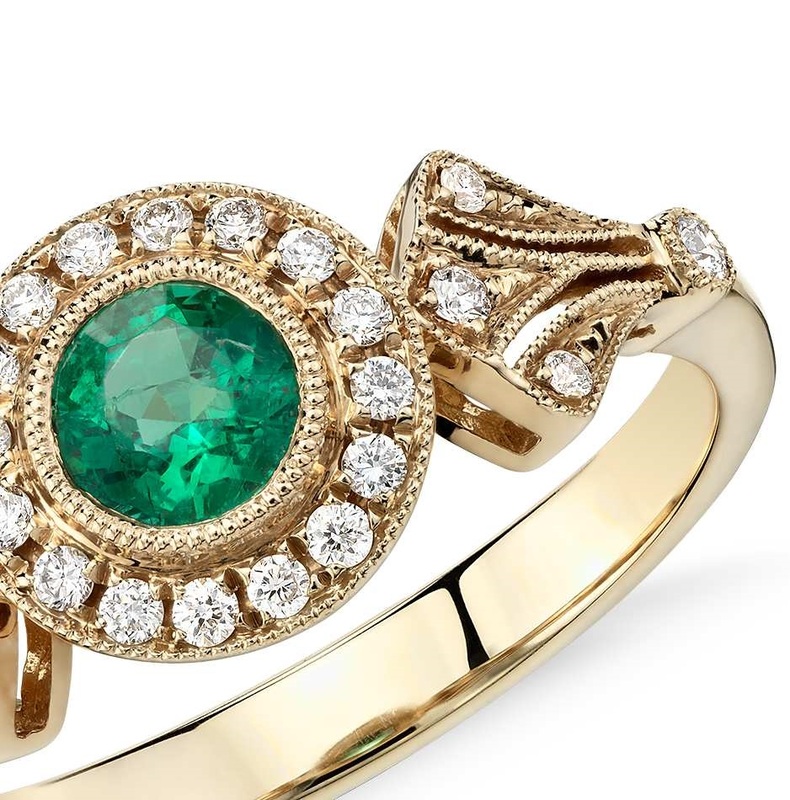 Inspired by vintage jewelry, this sophisticated 14k yellow gold ring features a milgrain halo with pave-set diamonds that frame a beautiful round-cut emerald. This piece will sure to be treasured for years to come.